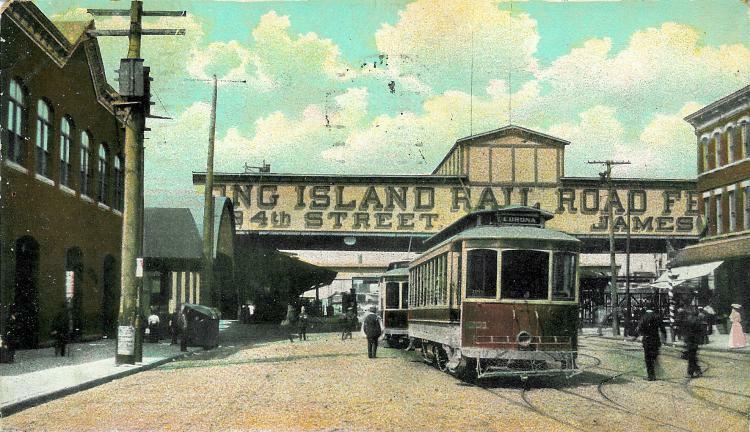 A Picture History of Kew Gardens, NY - The Long Island Railroad Ferry Terminal at Long Island City. The Long Island Railroad Ferry Terminal in Long Island City. In the days before underground tunnels linked New York City and Long Island, railroad passengers had to disembark here to take a ferry to Manhattan.